The Washington Nationals made history by turning the first 3-3-5 triple play ever in the major leagues then watched as third baseman Anthony Rendon tossed the ball from the milestone moment into the crowd at AT&T Park. 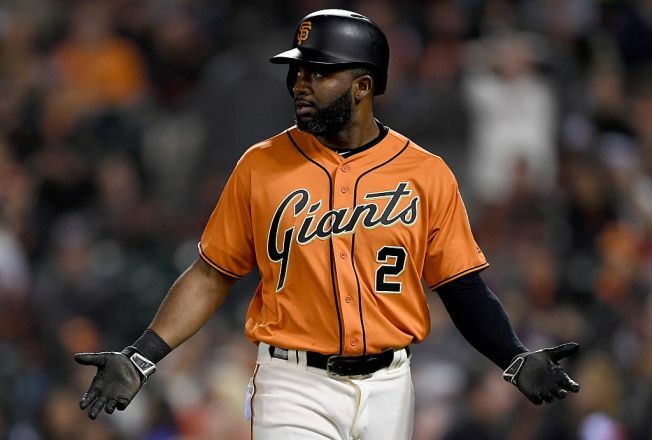 Getting a second straight win over the Giants and securing their hold on the second-best record in baseball was far more important than the souvenir to manager Dusty Baker and his ballclub. Washington turned the first triple play in its 12-season history, holding on in the eighth inning to help preserve a strong outing by Max Scherzer and beat San Francisco 4-1 on Friday night. "Crazy," Zimmerman said. "Couldn't have happened at a better time for us. Great job by Sammy (Solis) coming in and getting two pitches and three outs." The Giants loaded the bases in the eighth with two walks sandwiched around a single. Brandon Crawford then lined an 0-1 pitch from Sammy Solis to first baseman Ryan Zimmerman, who had entered the game moments earlier as a part of a double switch. Zimmerman quickly stepped on first base for the second out then threw to third baseman Anthony Rendon to catch Denard Span to complete the triple play. "Once I caught it, I knew I had the double play," said Zimmerman, who was moved a few steps back before Crawford swung. "Then Tony was jumping up and down with a smile on his face so I just tossed the ball over to him. Got out of a jam just like that." It was the first 3-3-5 triple play in history, according to Sabr.org, and also the first Baker has ever seen as a player or manager. "There was one other one, but I went to the bathroom and missed it," Baker said.